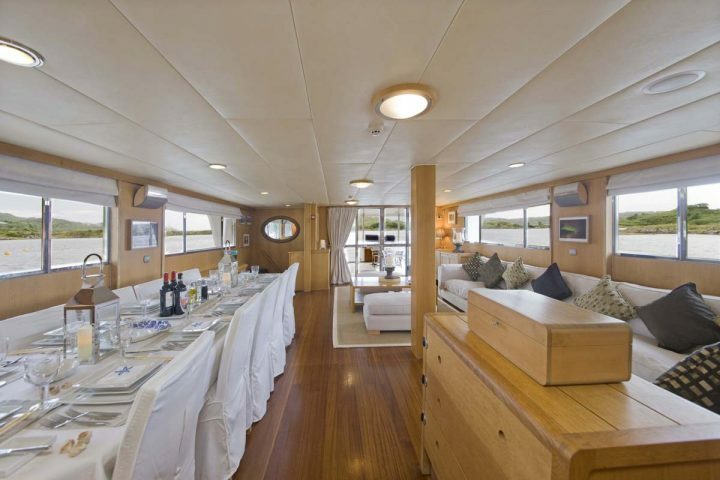 The Spirit of Fortitude is a thirty-three metre tri-deck luxury superyacht with a gross tonnage of 199 tonnes brimming with character. 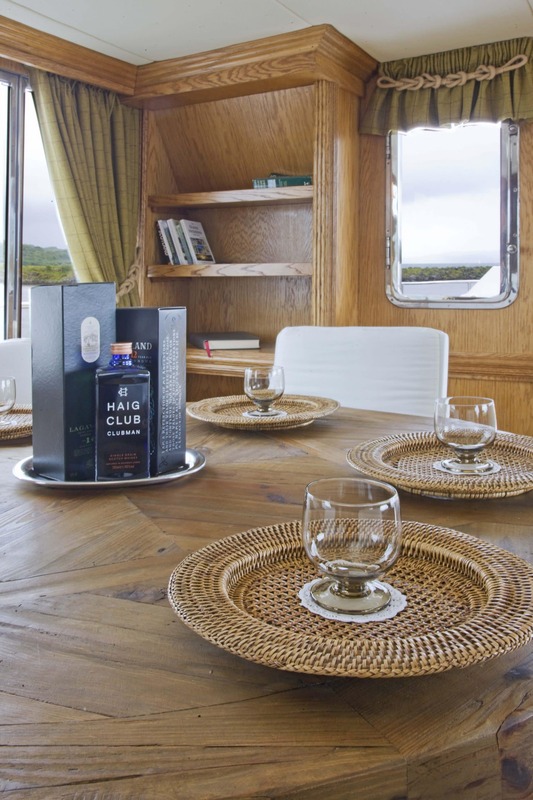 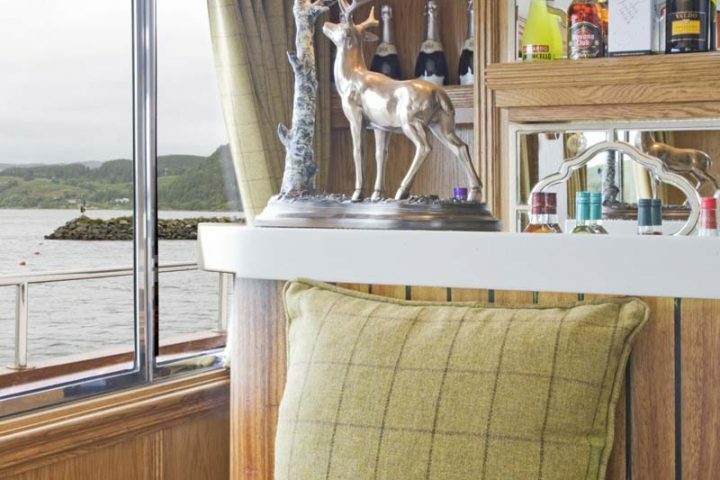 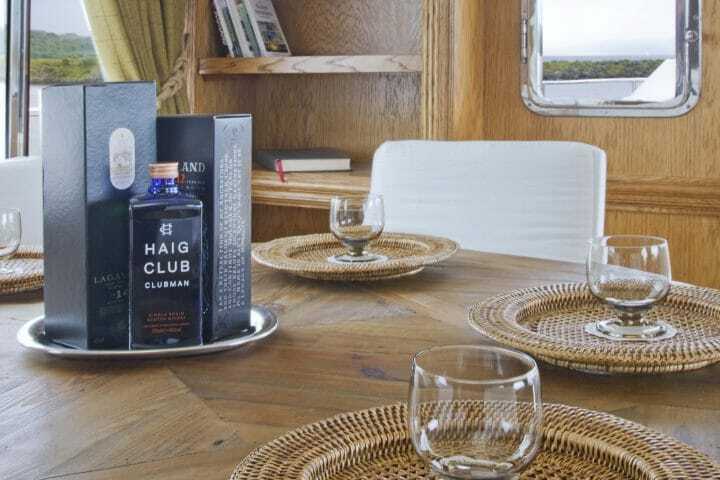 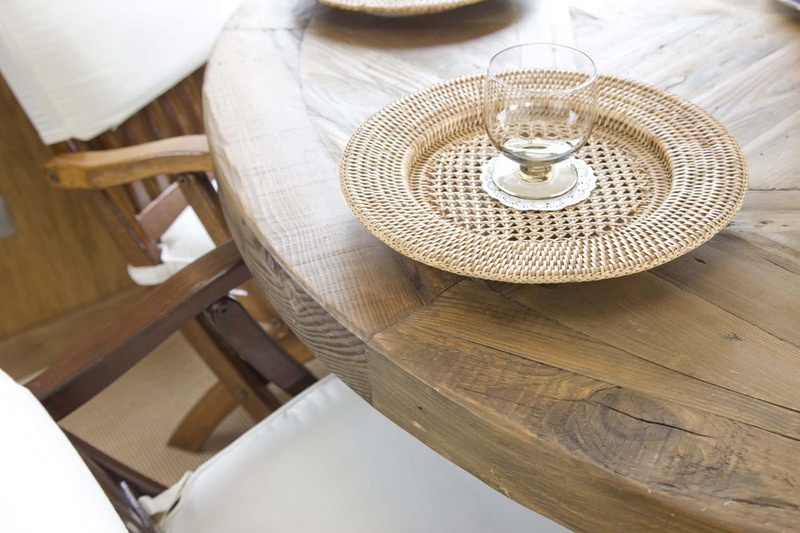 She has a hand crafted interior, designed with a classic Scottish contemporary twist. 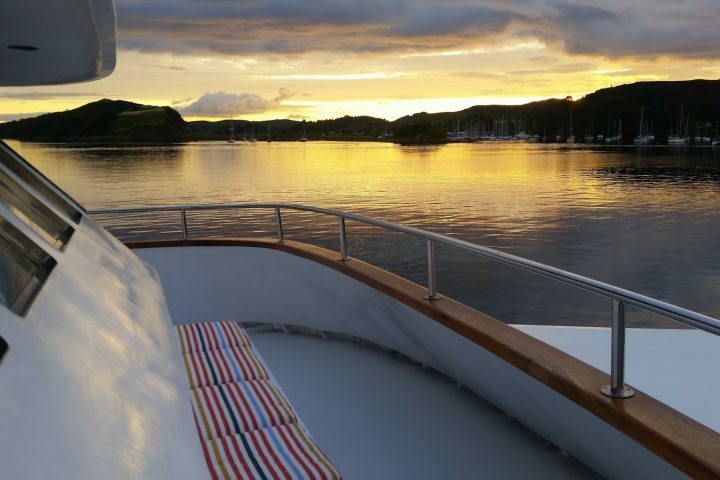 Find out more from her page on marinetraffic.com, or watch her voyages in real time on the live map. There are several areas internally for clients to relax, with a full size saloon including bar and coffee area as well as large comfy sofas and a television area should you wish to watch satellite television or one of our classic Scottish movies. 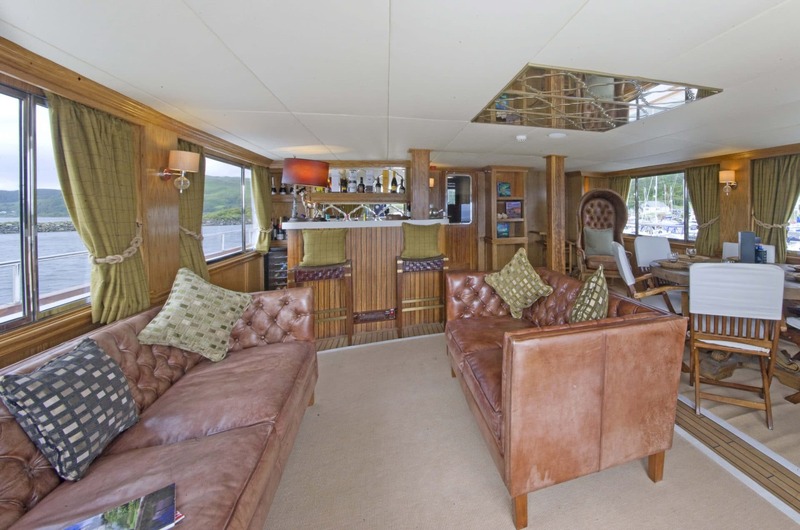 We also have a separate large relaxing library area, designed with bespoke bookcases and furniture in oak with burr veneer inlay. 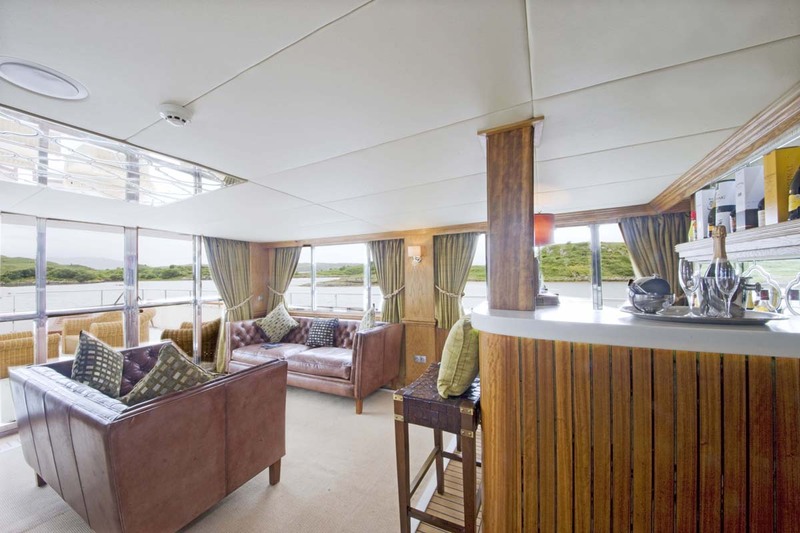 Complete with panoramic windows this room is light and airy, a great place to sit and relax, reading from a selection of local and topical books from our extensive book collection. Up on the Bridge Deck, the “Whisky Viewing room” benefits from longer windows and is great for viewing while sitting on a comfy sofa soaking up your surroundings. 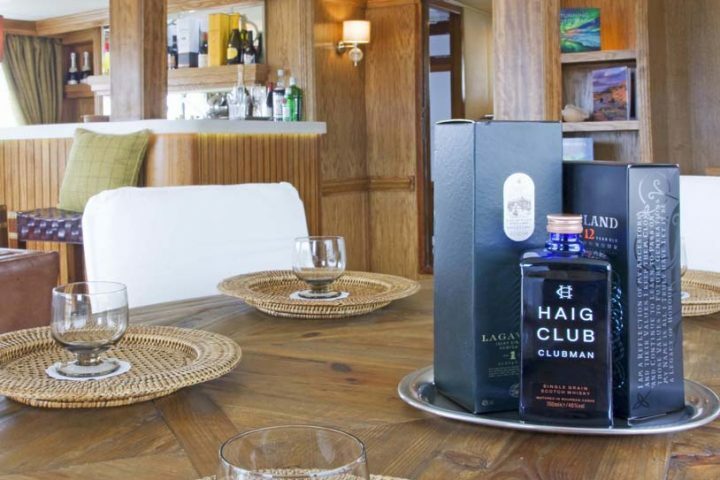 As the name suggests it benefits from a well-stocked Whisky Bar, some from our own collection, a perfect place to spend your evenings. 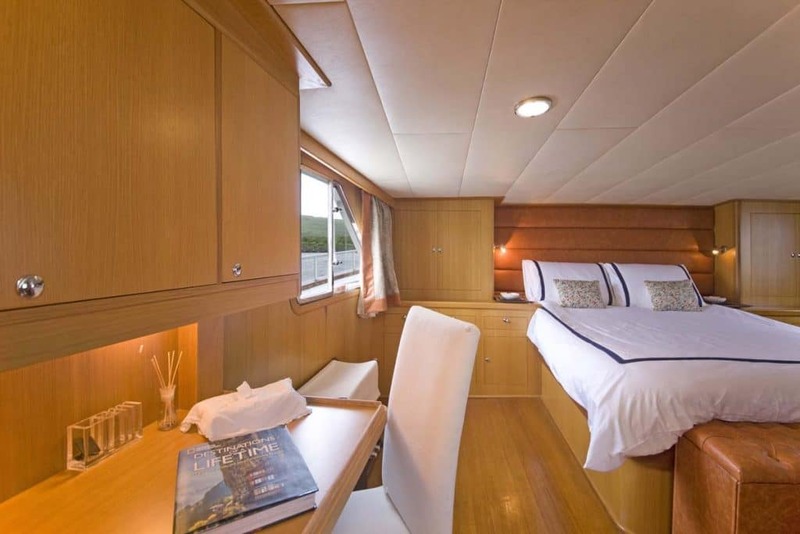 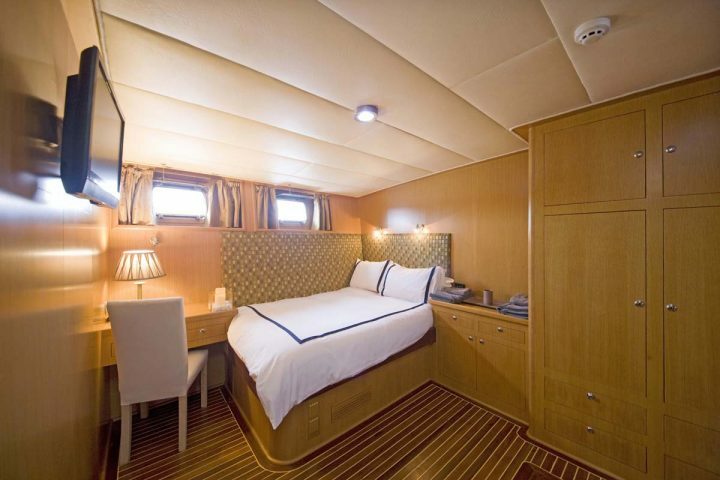 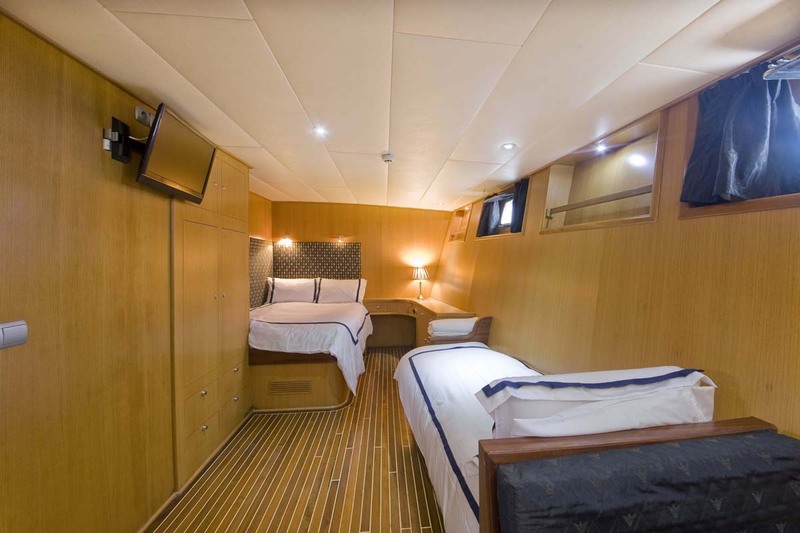 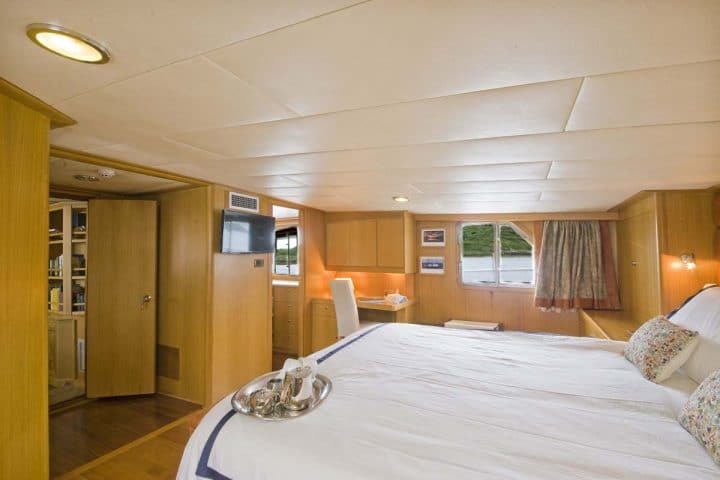 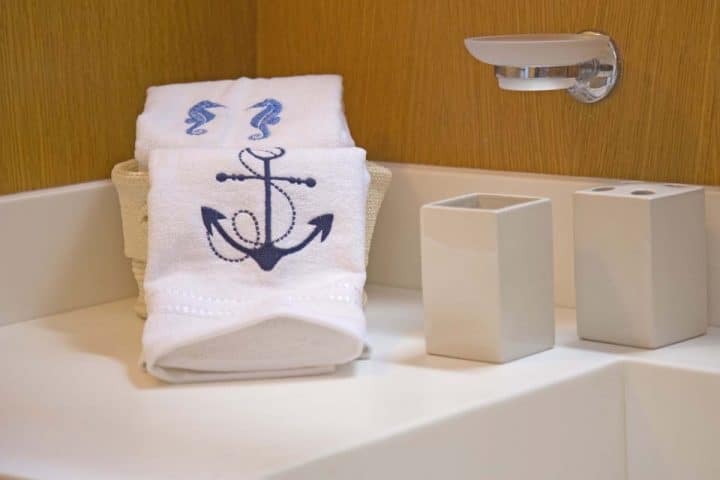 The Spirit of Fortitude boasts six luxurious well designed staterooms, each having a private dining area, all with their own private ensuites with full size showers. All cabins have TV and benefit from heating as well as air conditioning. 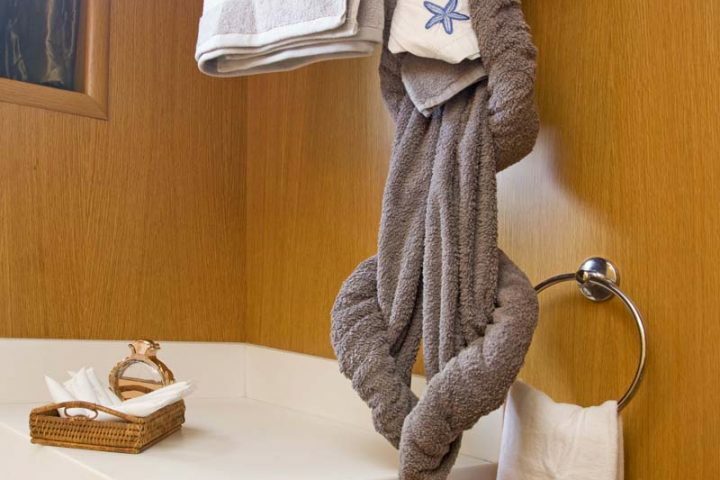 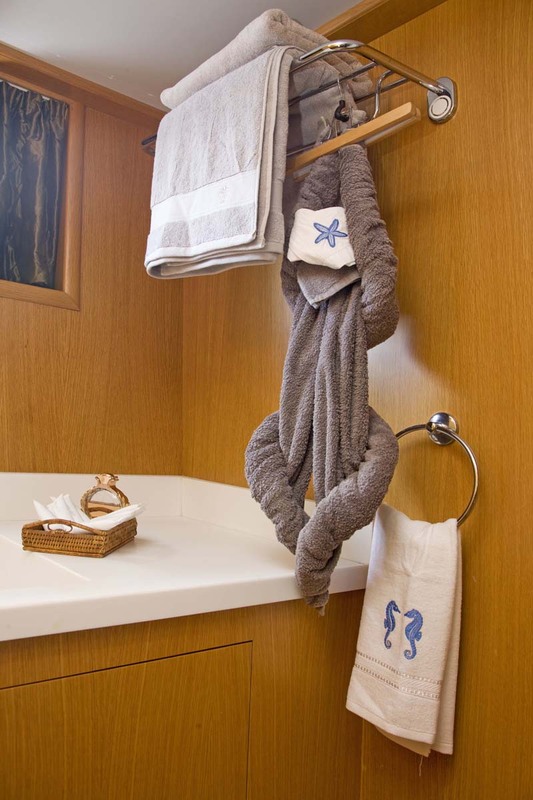 The cabins have no shortage of storage space for your belongings, everyone has their own closet and drawers. 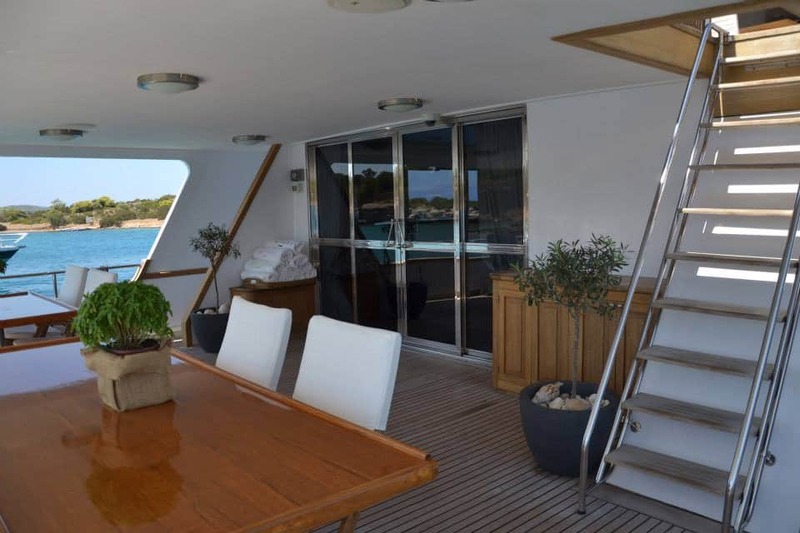 There are several outdoor areas externally. On the top level of The Spirit of Fortitude there is the Sun Deck for sunbathing with built in large, foamed sunbeds, which have plenty of storage and drinks tables as well as an area for sun chairs. 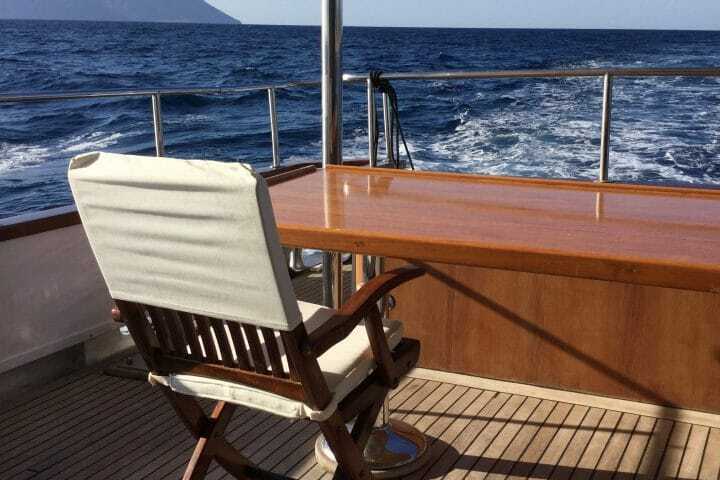 The Bridge Deck enjoys another ample sized sun area with large couches and chairs. 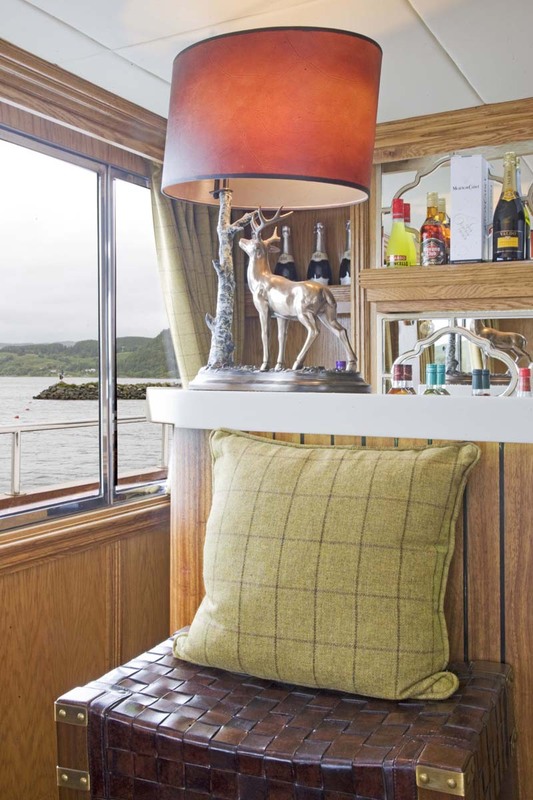 There is also a built in sitting area in front of the Bridge, perfect for getting the “skipper’s view”. 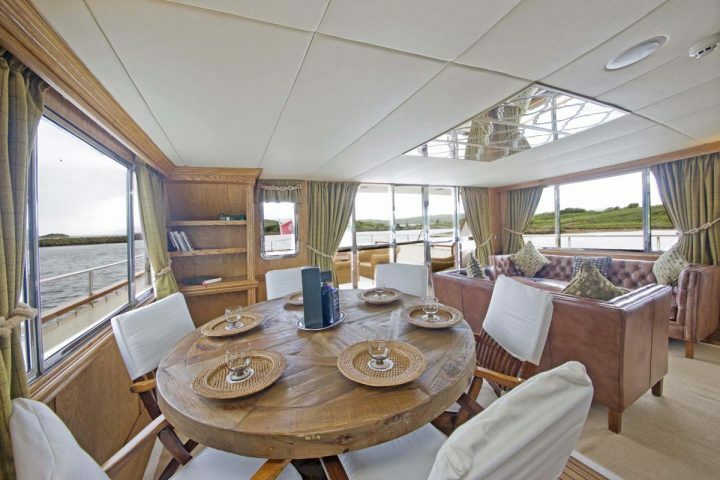 The Main Deck has a covered sitting dining area to the rear with seating for twelve. 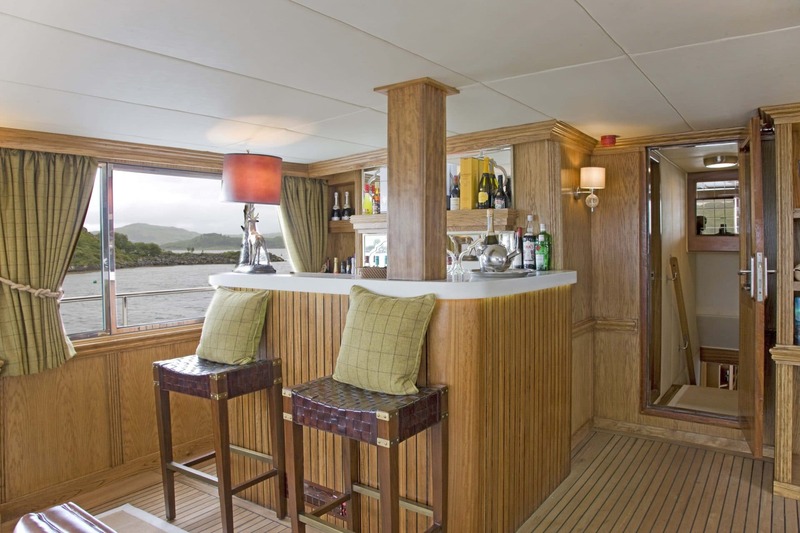 We also have an ample swim platform where coffee can be served when at anchor as there are movable railings here, enabling easy access for swimming or accessing the tenders. 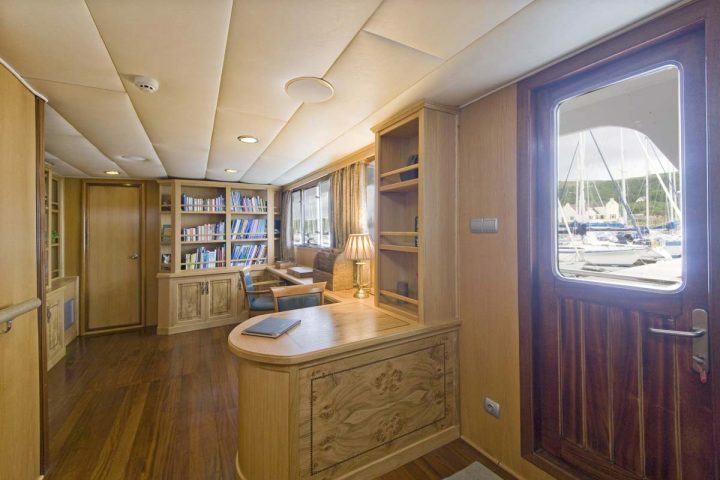 She carries state of the art equipment and enjoys full satellite communication, so any necessary calls to home can be made. 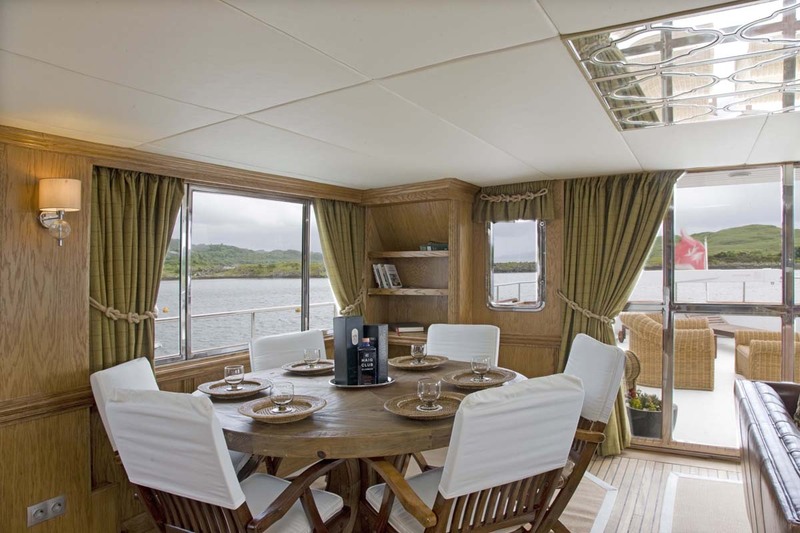 We feel it’s great to be on an adventure with others, but it’s also good to have some quiet time, so with only a maximum of twelve guests there are various areas to escape to. 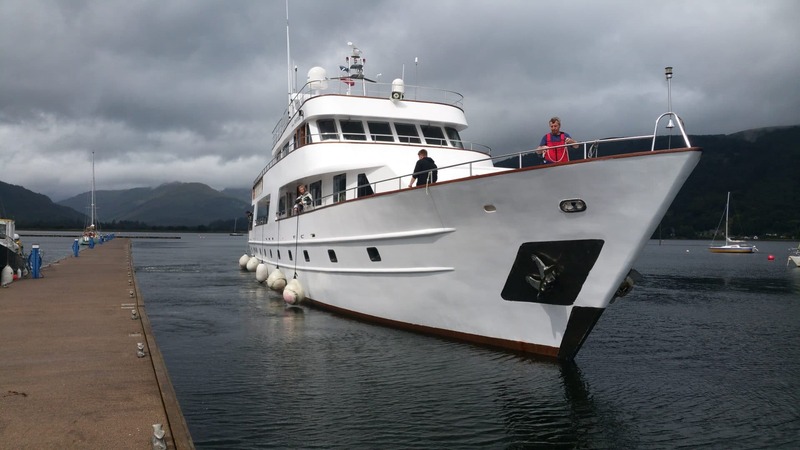 We not only meet International Safety Standards but all our crew are S.T.C.W. 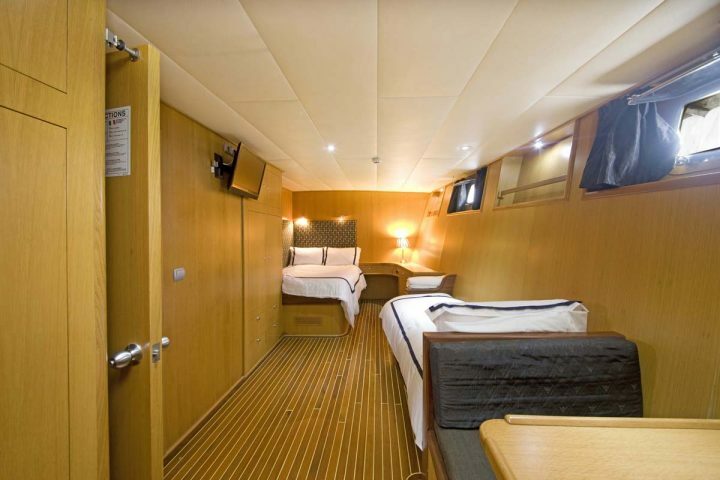 trained, and the vessel carries the latest state of the art emergency systems. 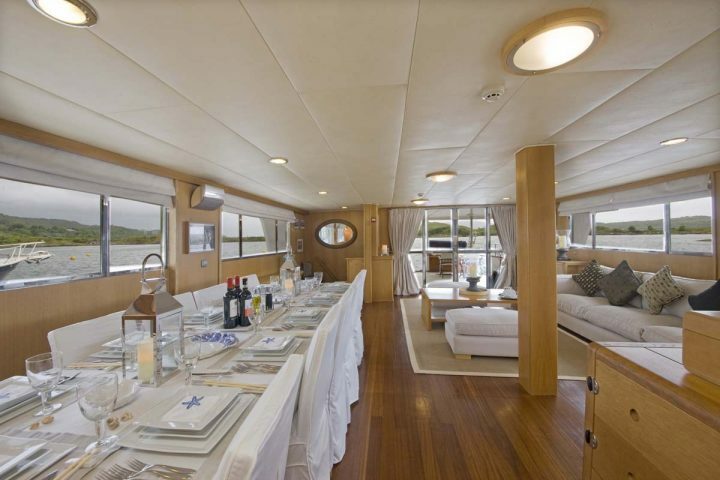 Accommodating a maximum of twelve guests when cruising ensures that everyone has ample room. 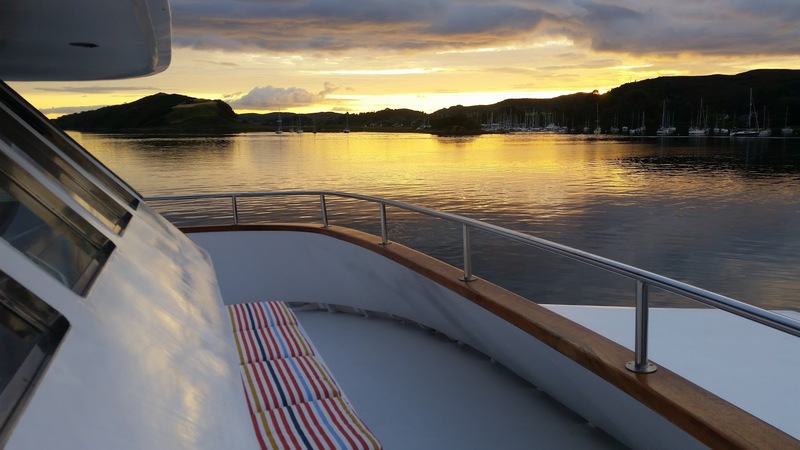 She makes the perfectly formed private charter yacht for corporate or family groups alike. 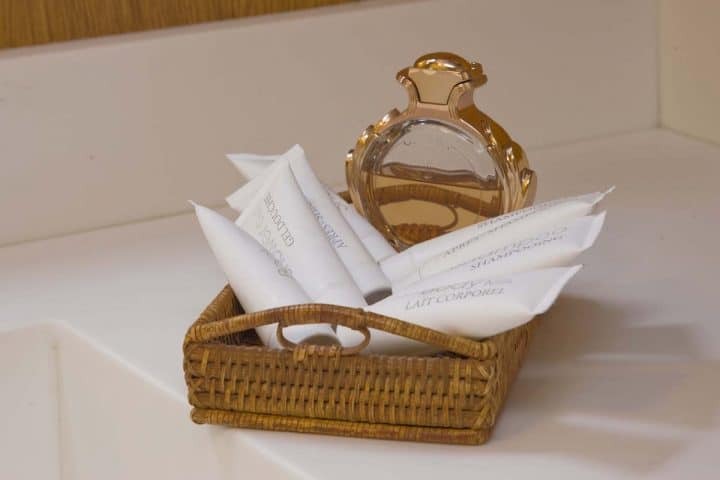 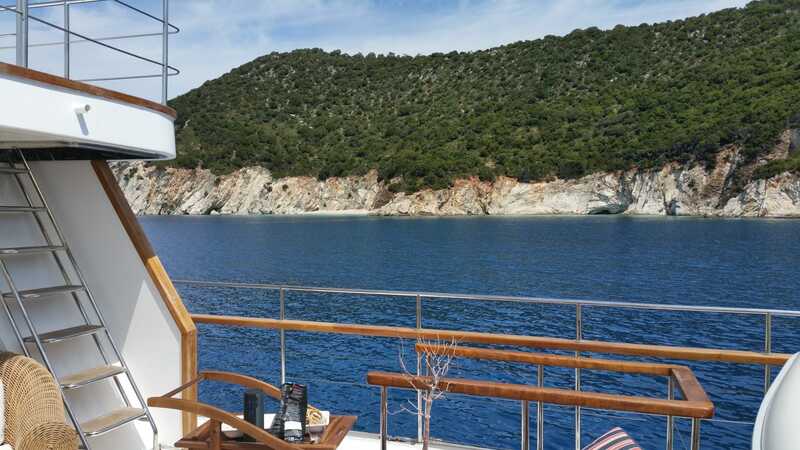 She has cruised extensively, spending the last few years operating out of the port of Piraeus, chartering throughout the Greek Isles where she has become quite iconic. 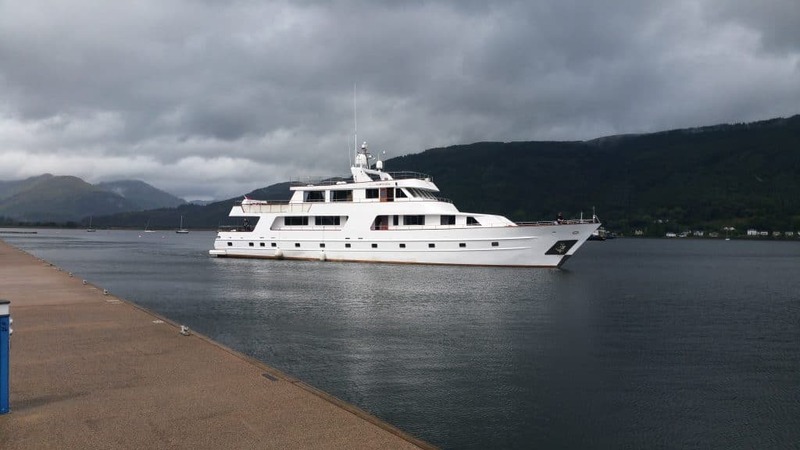 In the last twelve months as well as operating on the West Coast of Scotland, she has visited more than twelve countries, and traveled more than seven thousand miles. 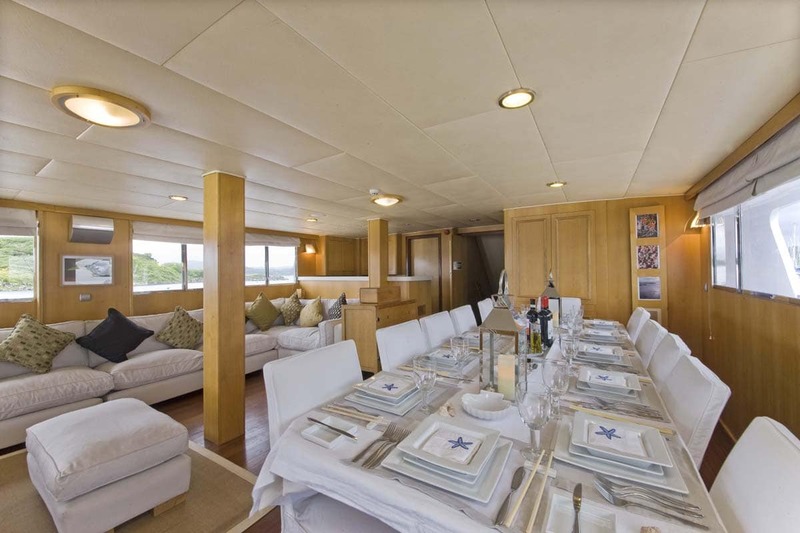 We can also offer her exclusive use for Corporate events and for Weddings, for those seeking an incredibly romantic day! 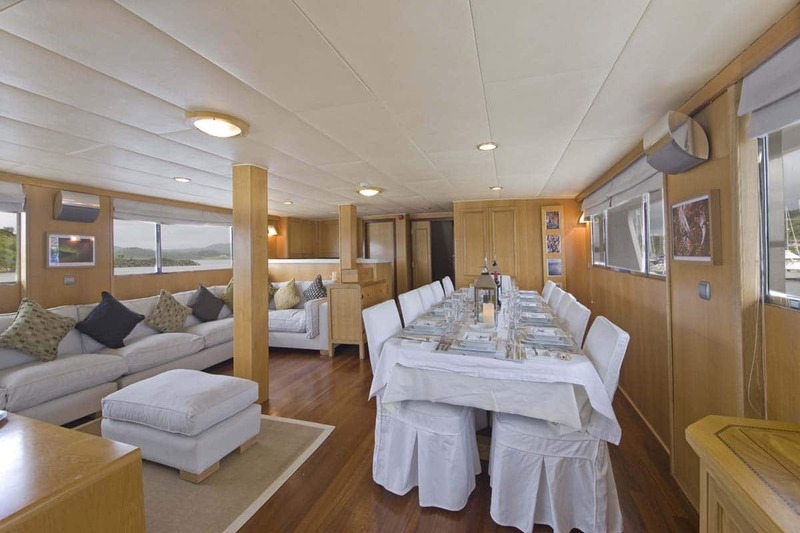 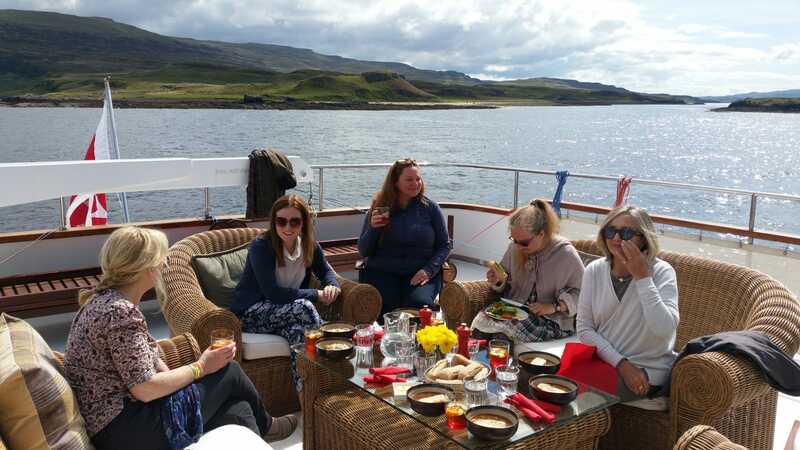 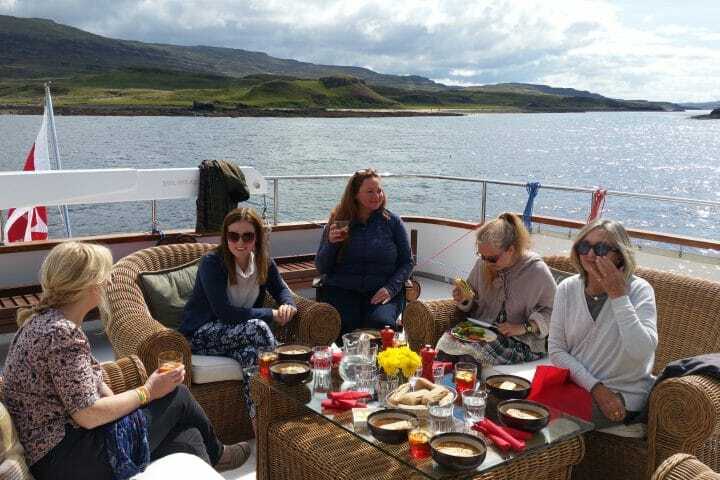 We can accommodate up to fifty guests on board on such occasions. 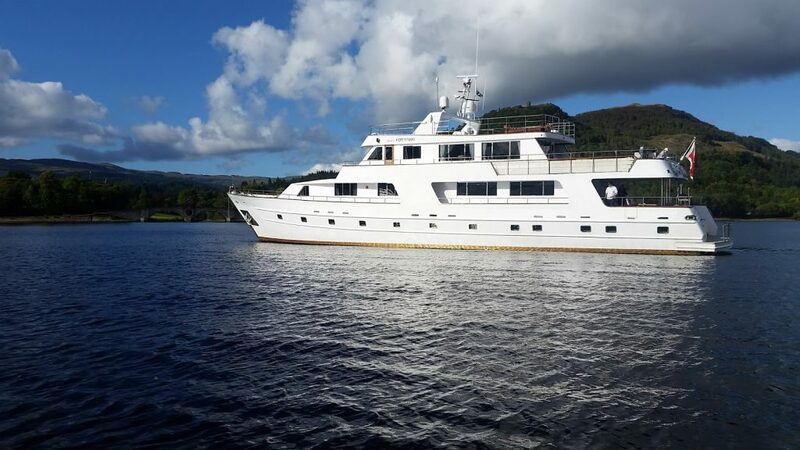 She carries two ships tenders and has accommodation for a crew of five. 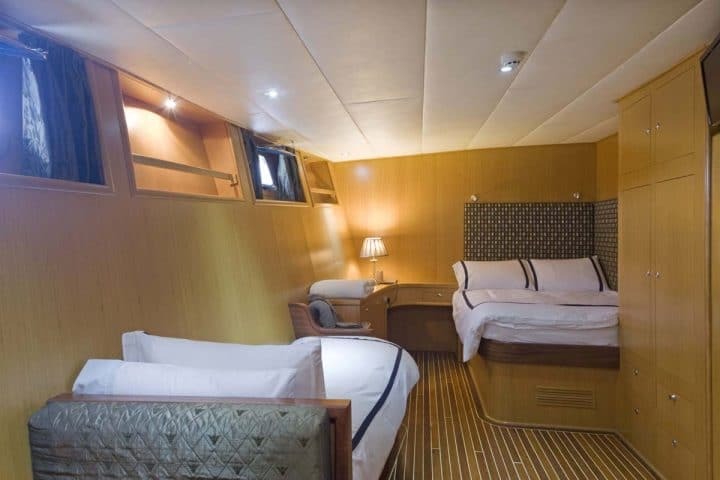 Equipped with modern ships communications and capable of making her own water on board and equipped with two generators powering the domestic equipment, she is self-sufficient for extended periods of operation. She has air conditioning and reverse cycle heating throughout. 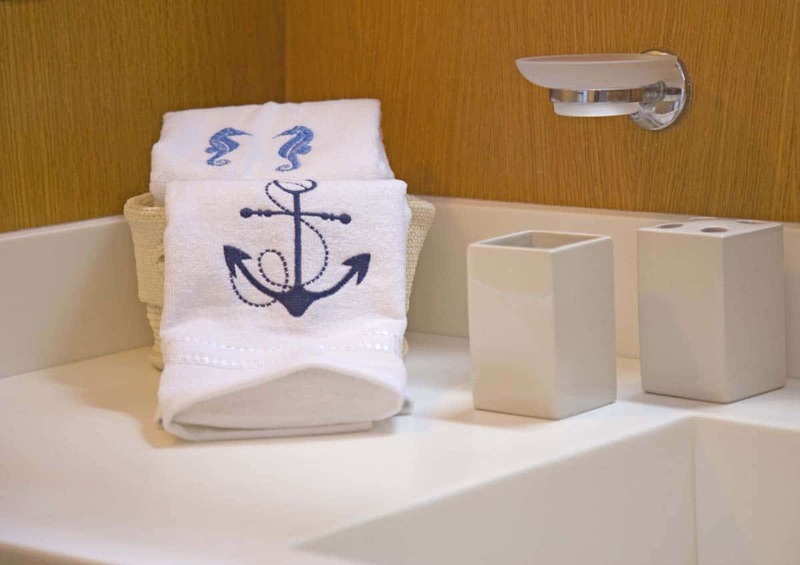 A laundry service will be available for the longer cruises. 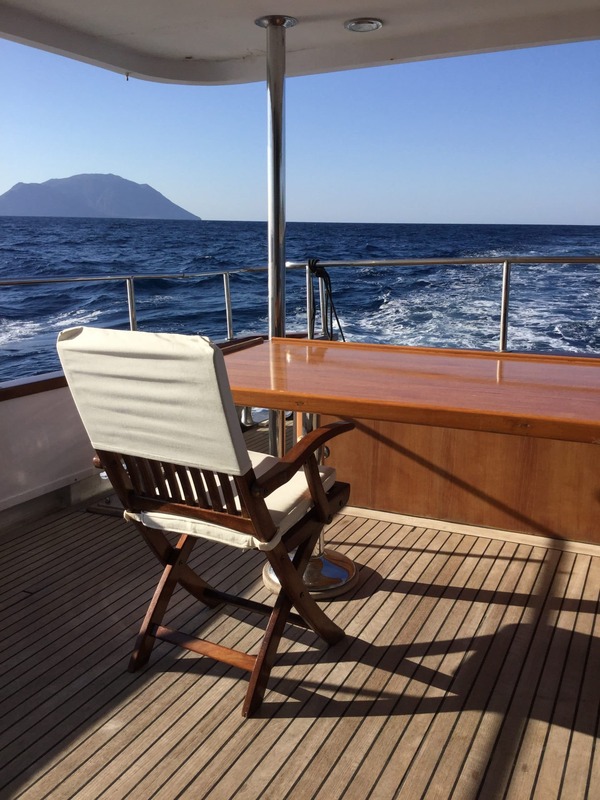 The tender is ideal for those who may have restricted mobility for climbing into a small boat, as we have a forward lowering ramp, so that entering and leaving is easier. Spirit of Fortitude has an extensive list of safety equipment and has stainless steel safety handrails on all levels. She was built as a custom design specifically for luxury charter and her home port is Valletta, Malta. 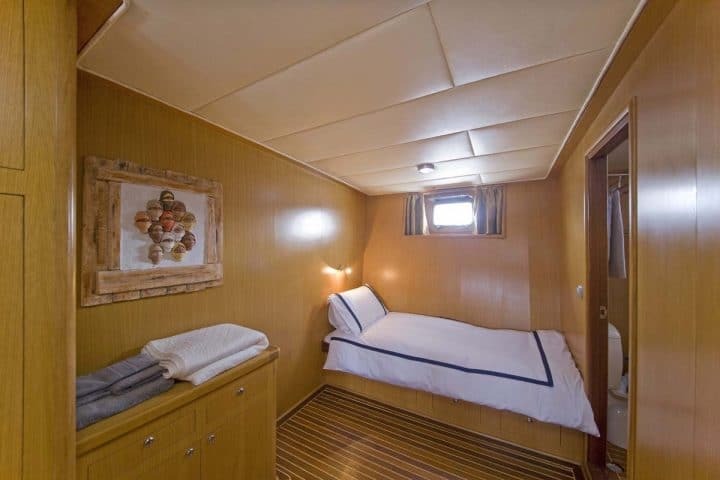 Located forward on the starboard side at a lower level, and a mirror image of State Room 1, this cabin is available as either a double or as a family room. 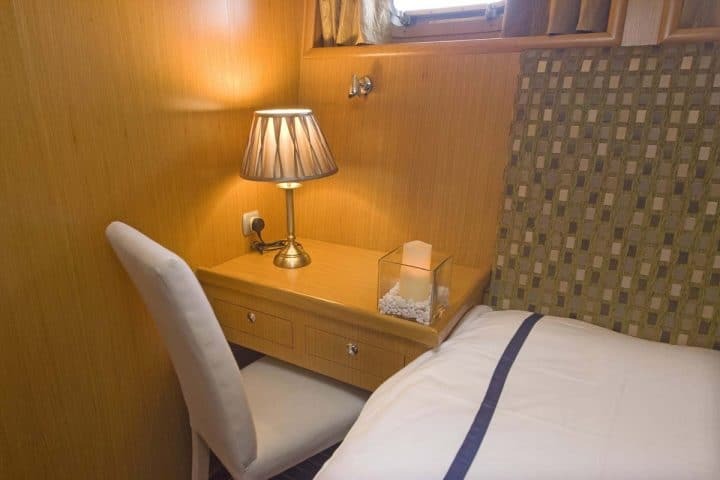 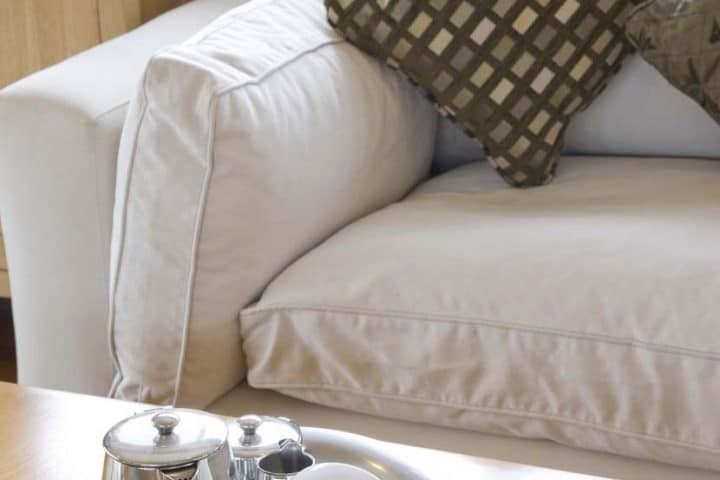 There is a double bed, desk/vanity area, wardrobes, dining/coffee area with seating for four and a large sofa which converts to an additional single bed. 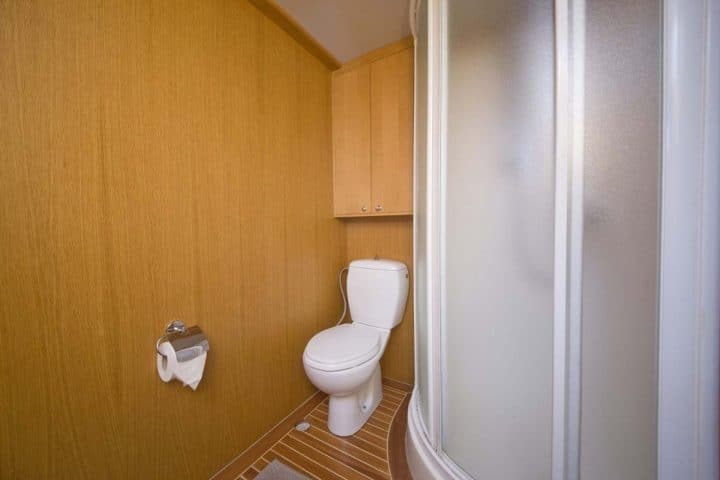 To the rear of the cabin is the luxury ensuite shower room with WC and vanity area complete with mirrors and lighting. 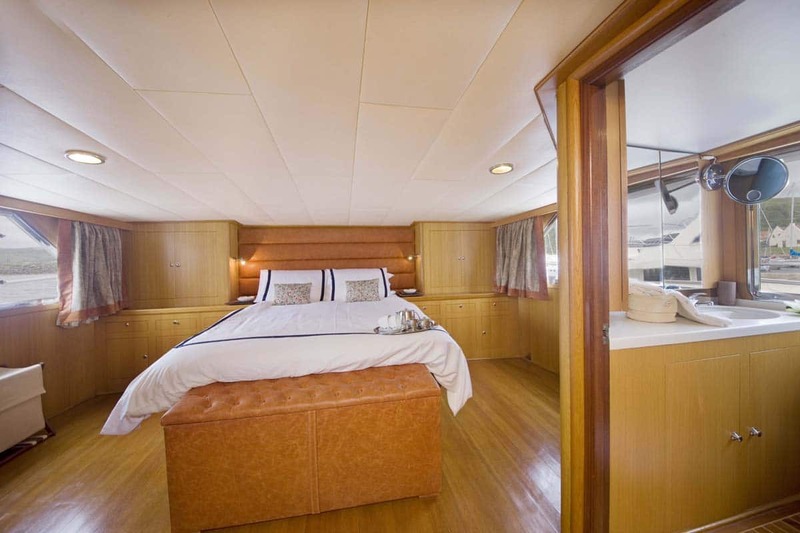 The cabin benefits from opening porthole windows in the bedroom and ensuite. Located aft on the port side at a lower level, this cabin is a double room. There is a double bed, desk/vanity area, wardrobes and storage cabinets. 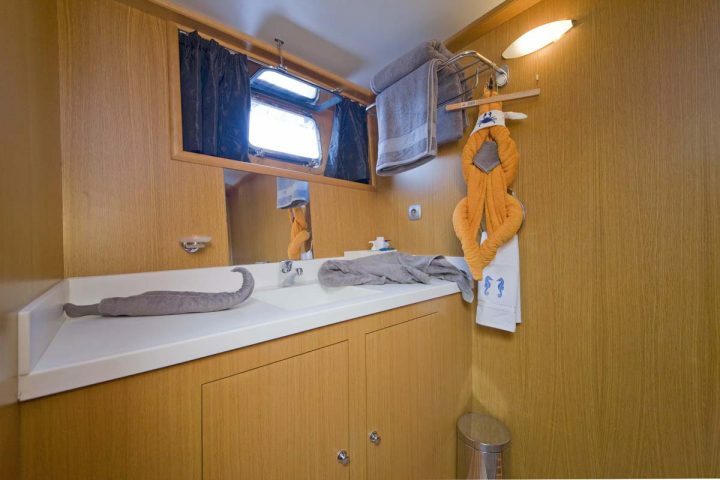 To the rear of the cabin is the luxury ensuite shower room with WC and vanity area complete with mirrors and lighting. The cabin benefits from opening porthole windows in the bedroom and ensuite. The outside deck areas of the Spirit of Fortitude has ample space to gaze at the beautiful scenery Scotland has to offer. Located forward on the port side at a lower level, this cabin is available as either a double or as a family room. 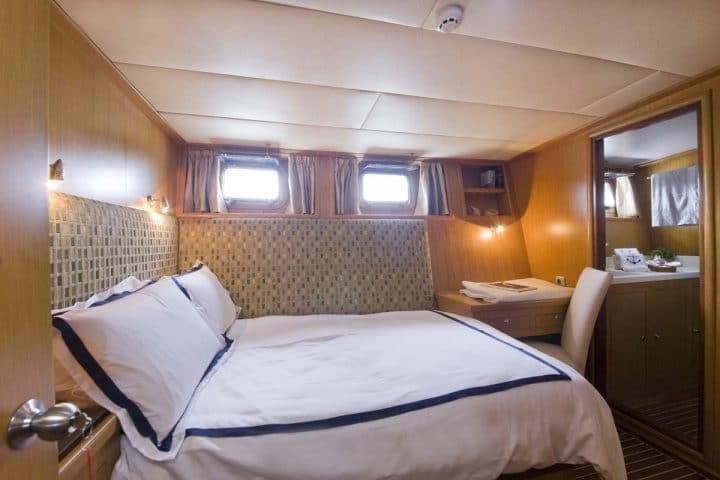 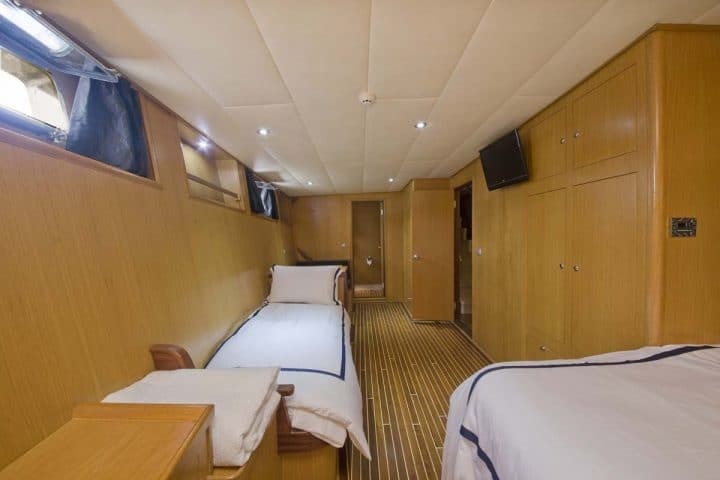 Located aft amidships at a lower level, this cabin is probably the largest on board, and is available as either a double or as a family room. 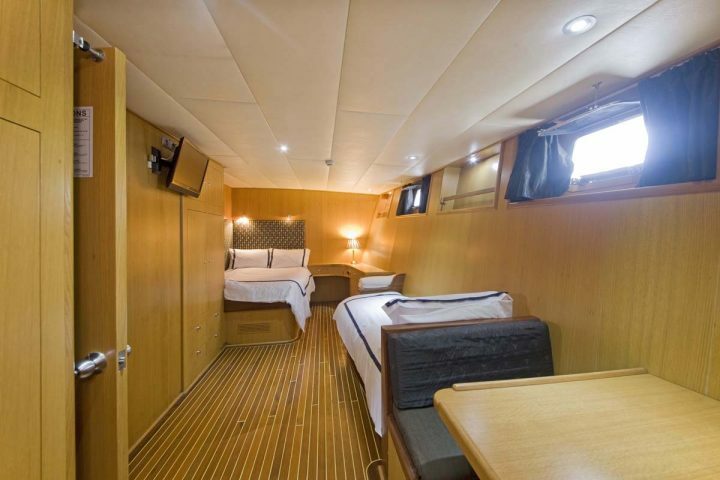 There is a double bed, desk/vanity area, wardrobes, and a large sofa which converts to an additional single bed. 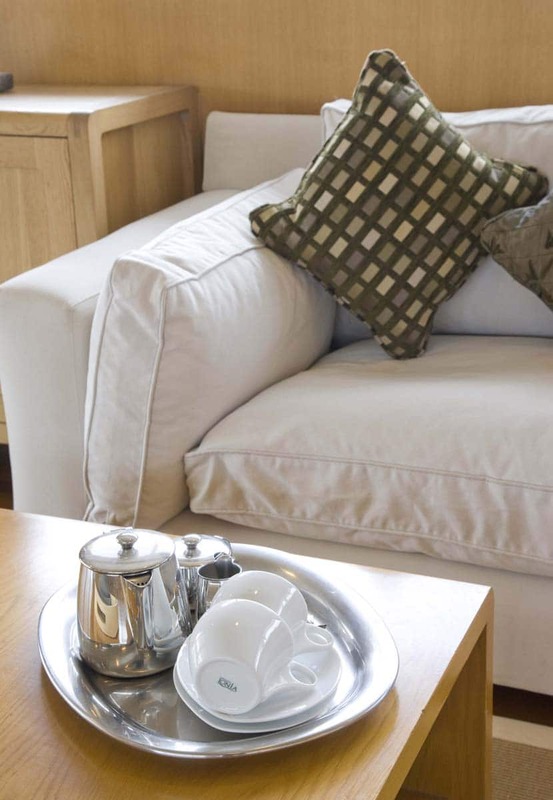 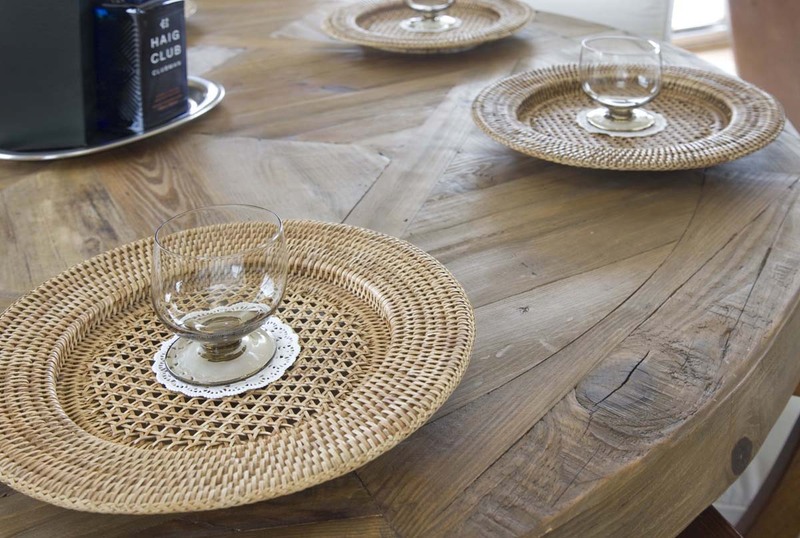 There is also a coffee table. 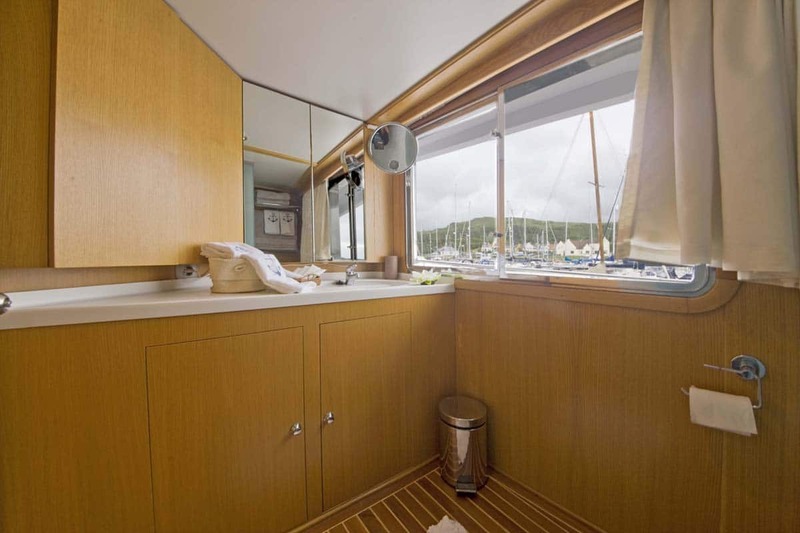 To the rear of the cabin is the luxury ensuite shower room with WC and vanity area complete with mirrors and lighting. 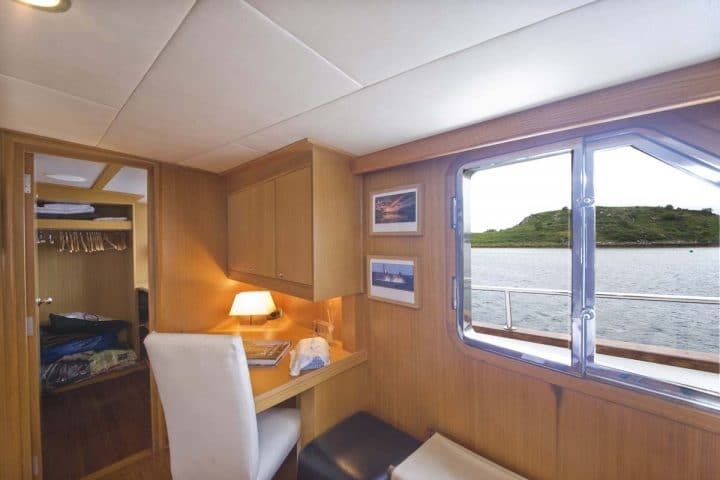 The cabin benefits from opening porthole windows in the bedroom and ensuite. 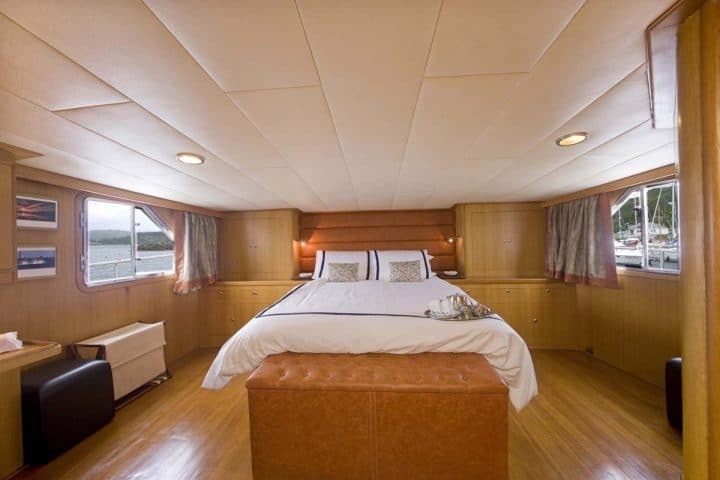 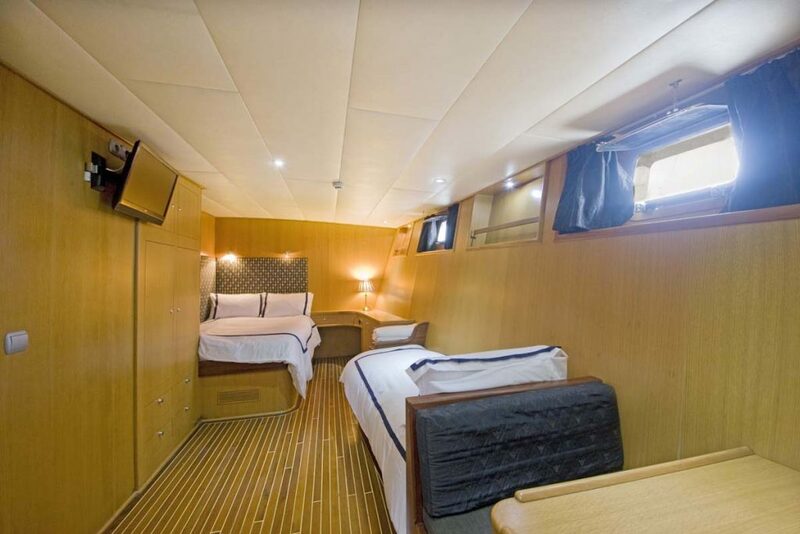 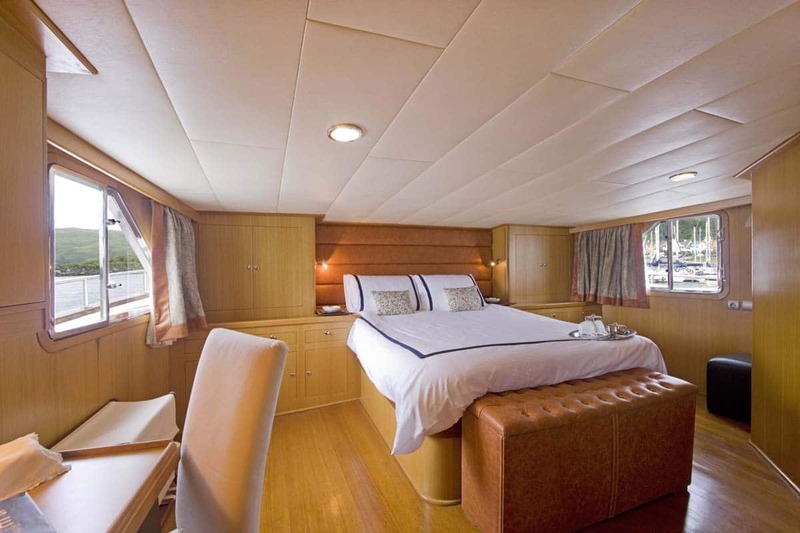 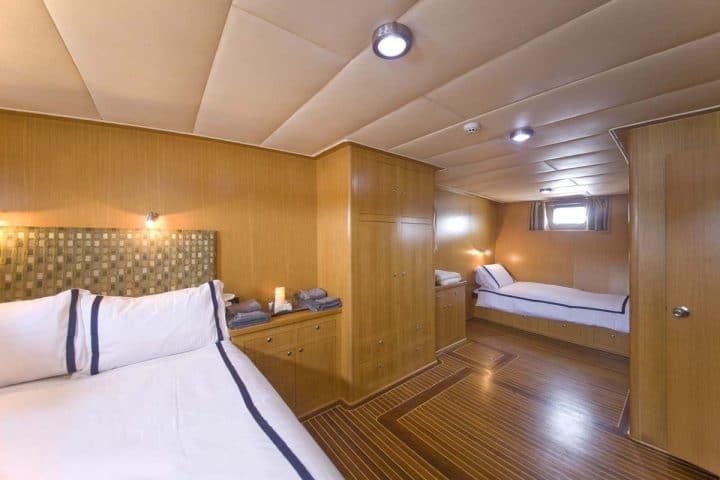 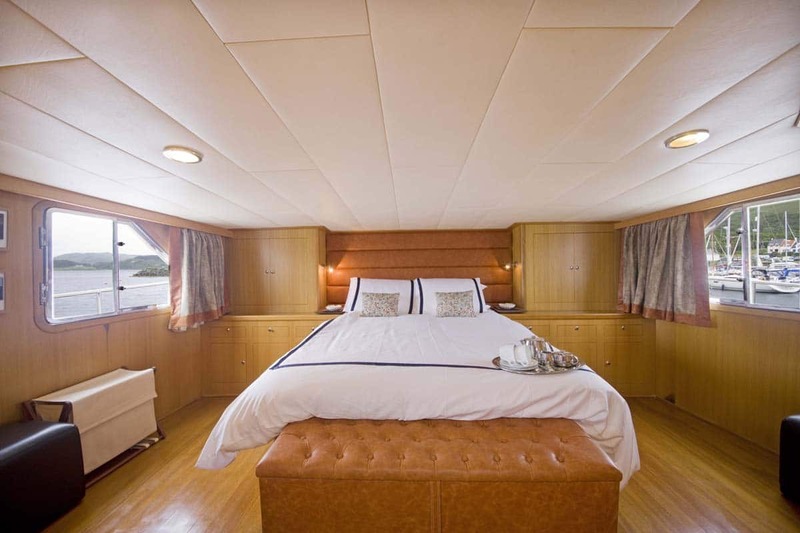 Located aft on the port side at a lower level, this cabin is a double room and a mirror image of Stateroom 4. 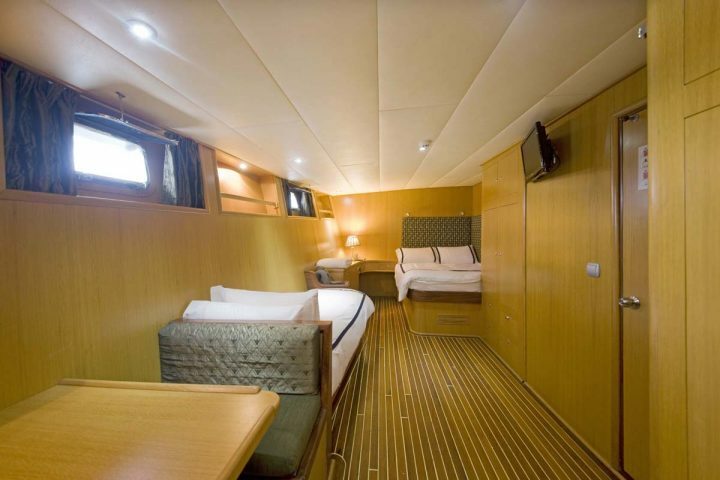 There is a double bed, desk/vanity area, wardrobes and storage cabinets. 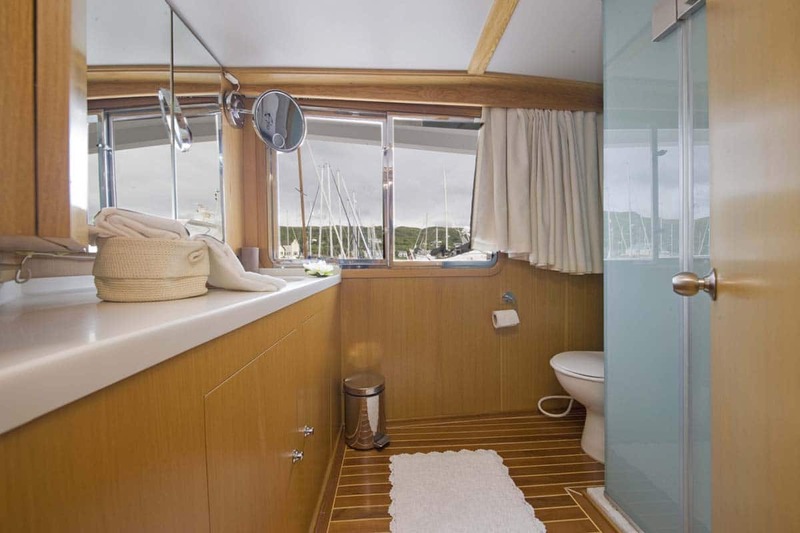 To the rear of the cabin is the luxury ensuite shower room with WC and vanity area complete with mirrors and lighting. 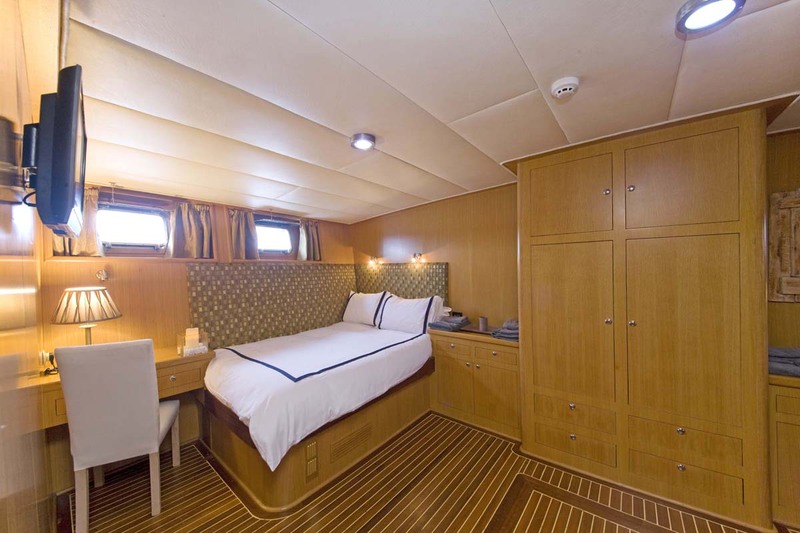 The cabin benefits from opening porthole windows in the bedroom and ensuite. 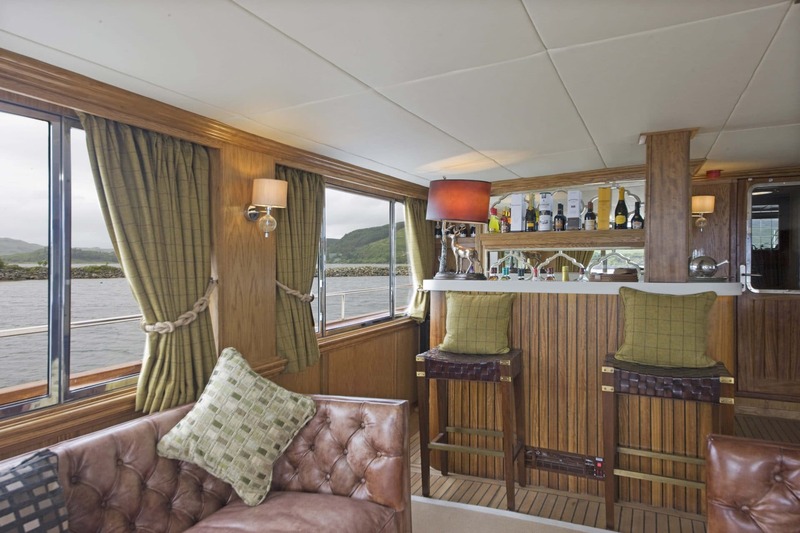 Our whisky lounge has been skilfully crafted to take advantage of the superior views from the Upper Deck and is the perfect place to relax or to get to know the other passengers. 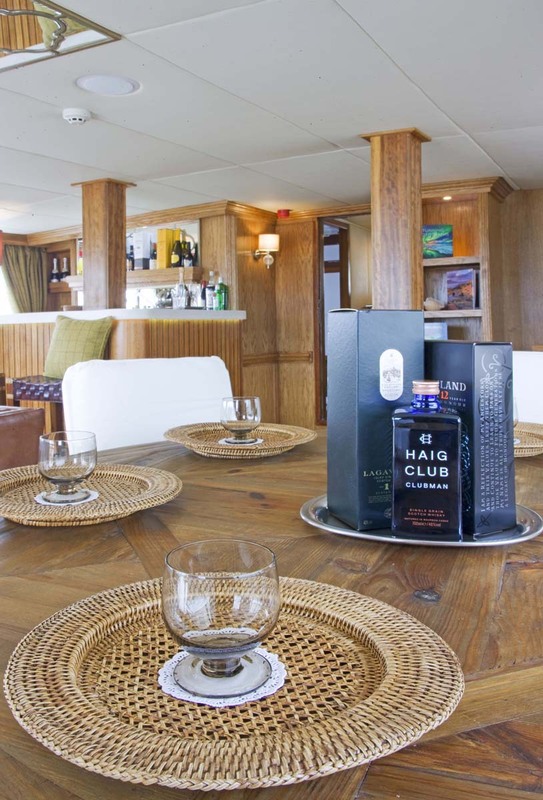 We have a great selection of the finest Scottish single malts available from the bar. 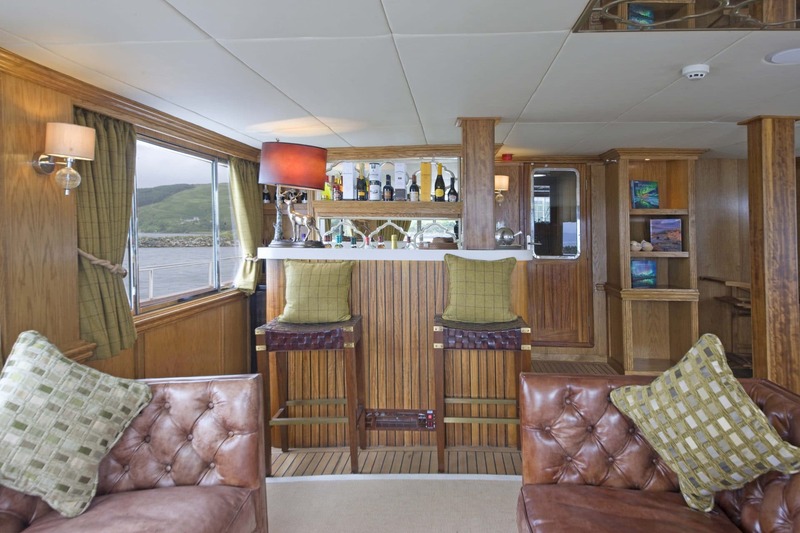 The cosy feel of our whisky lounge will make you feel right at home.